It started with a problem… according to Mark Helvadjian, founder of British male grooming brand SCRUBD, who was unable to find a premium, all-natural bar of soap made specifically for men. Working with England’s top artisanal soap makers and skin care scientists, Mark began his quest to solve this problem, sourcing natural ingredients, mixing his own essential oils, hosting scent testing sessions with friends and family, finally leading to the creation of his very own range of handcrafted soaps. 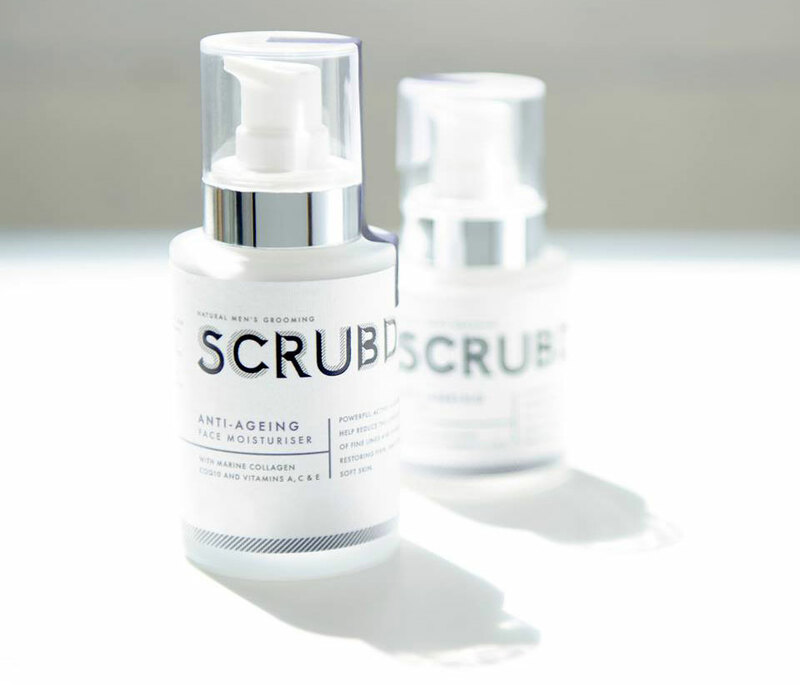 SCRUBD launches exclusively in Harvey Nichols nationwide in November 2017 and incorporates an Energising skincare range, Anti-Ageing skincare range and organic triple-milled soap blocks. The entire range has been ethically handcrafted for men aged 35-54 who want to up their game and ‘master mid-life masculinity’. 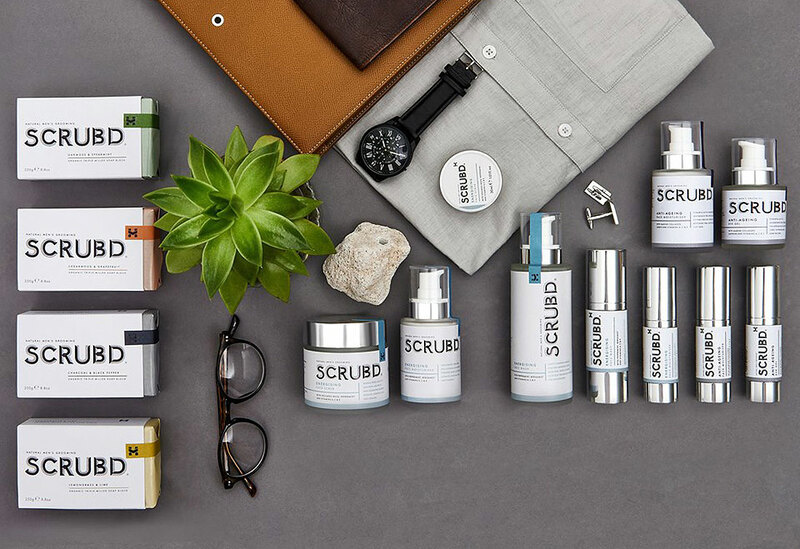 Combining age-old artisanal methods with cutting-edge techniques, SCRUBD uses the finest, all-natural extracts, botanicals, vitamins and essential oils to create effective, natural grooming products, leaving skin looking and feeling youthful, and leaving men feeling primed for more. The SCRUBD mission is simple, to help men feel great in their skin. 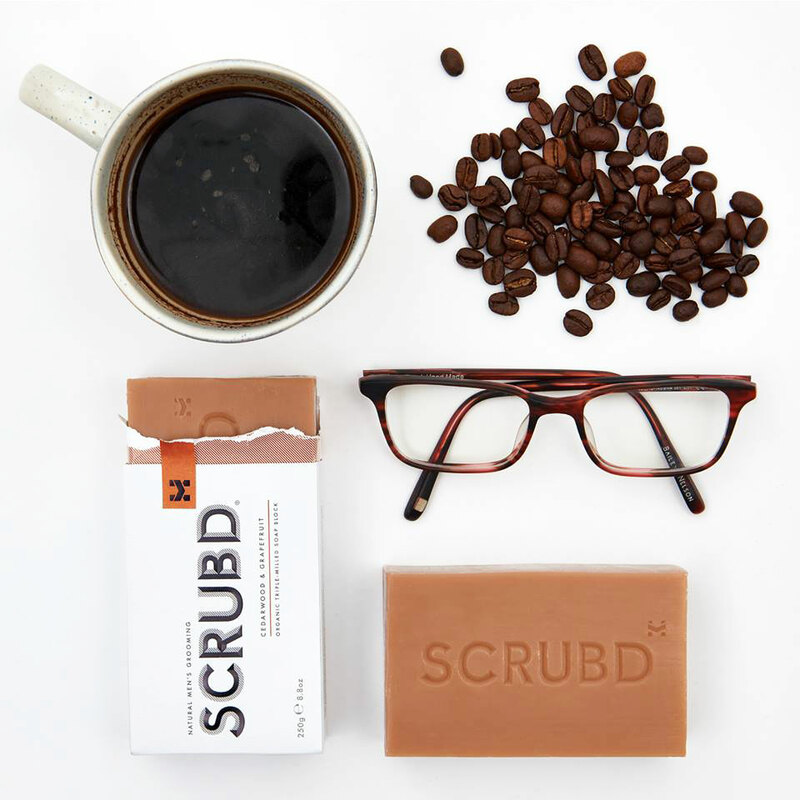 When men feel great in their skin they can master anything, leaving a unique mark in every area of their lives.SCRUBD is passionate about crafting effective, all-natural grooming products specifically for the demands of men’s skin. 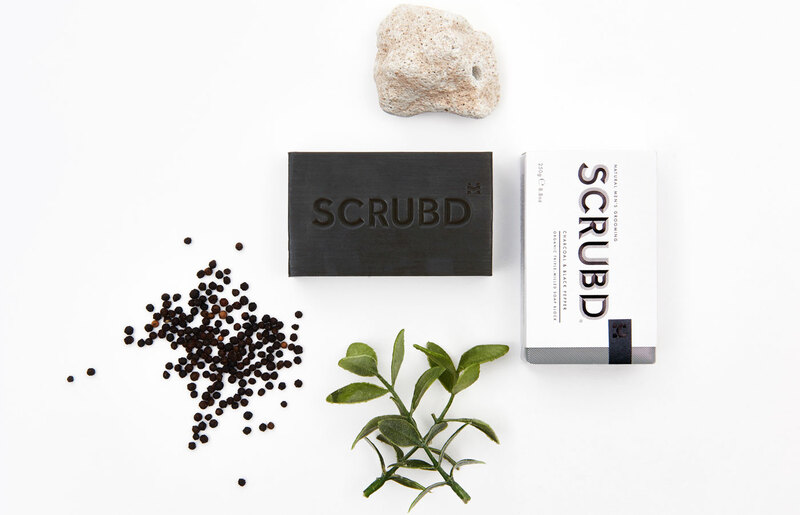 SCRUBD is also passionate about doing it the right way, all ranges are cruelty-free, ethically sourced, 100% vegan and made with natural ingredients which are kind to the skin and planet. SCRUBD triple-mill their all-natural, organic soaps; a traditional, artisanal soap-making method that has been used for over 300 years. Milled three times for a denser, longer-lasting form, triple-milled soaps hold their shape and deliver a richer, creamier lather, while the active ingredients are more consistently distributed. Cedarwood and Grapefruit essential oils bring richness and relaxation to your skin. Oakmoss and Spearmint essential oils refresh your skin with a robust effect. Activated Charcoal and Black Pepper essential oils enliven your skin with perfect balance. Lemongrass and Lime essential oils stimulate your skin for a restorative effect. With Peppermint and Vitamins A , C & E. This naturally effective Energising range cleanses and renews tired and dull-looking skin. Through a combination of natural extracts, essential oils and vitamins the range will leave your face feeling rehydrated, rejuvenated and primed for more. Replace lost moisture and vigour in tired and dull-looking skin through a powerful blend of natural ingredients. Natural antioxidants help maintain healthy skin cells, while Argan Oil, Green Tea extract and essential oils deliver supple, glowing skin. Gently cleanse skin from surface oils and impurities, leaving your face feeling rehydrated and rejuvenated. Natural antioxidants help maintain healthy skin cells, working alongside gentle, effective cleansing ingredients for perfectly balanced skin. Renew your skin through deep cleansing natural ingredients. Volcanic rock particles scrub away dead cells to renew and stimulate skin, while Peppermint and Bergamot essential oils invigorate tired and dull skin. With Marine Collagen and Vitamins A, C & E. This naturally effective Anti-Ageing range targets the visible signs of ageing helping to reduce the appearance of fine lines, puffiness and dark patches.Through a combination of powerful active ingredients and vitamins the range protects, restores and leaves skin feeling firm, smooth and supple. The skin care ranges are also available in a lightweight and handy travel size. Great for the gym bag or the flight bag, these travel companion products are the perfect addition for men on the go. Available in Energising range and Anti-Ageing range. SCRUBD is available exclusively at Harvey Nichols, you’ll find the range at the Knightsbridge, Manchester, Leeds and Edinburgh stores: Click here for detailed location information and opening times.